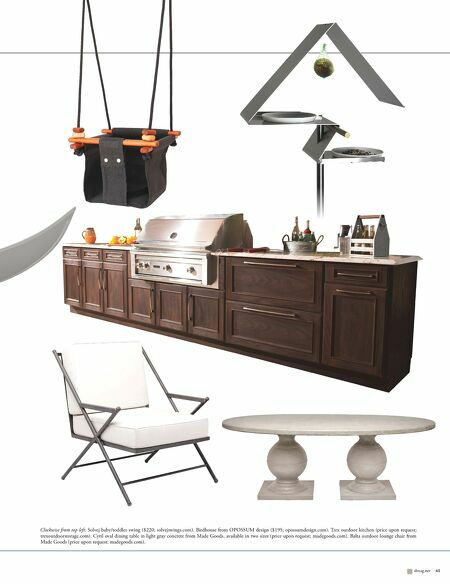 40 slmag.net Of Note... Hit the Deck Compiled by Colin Dennis Clockwise from top left: Sonneman InsideOut outdoor Offset Panel LED sconce in textured bronze ($490; onnemanawayoflight.com). 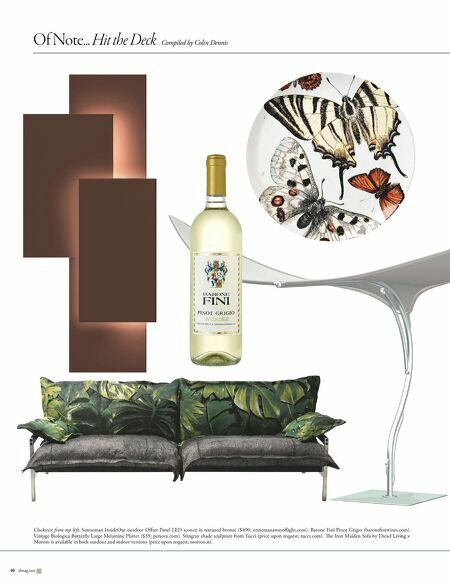 Barone Fini Pinot Grigio (baronefiniwines.com). Vintage Biologica Butterfly Large Melamine Platter ($35; persora.com). Stingray shade sculpture from Tucci (price upon request; tucci.com). e Iron Maiden Sofa by Diesel Living x Moroso is available in both outdoor and indoor versions (price upon request; moroso.it).